“Today marks the first day for Razer as a public company,” posted Razer CEO Min-Liang Tan on his official Facebook page on Monday morning. According to reports, around 21 million individuals placed orders for the shares, priced at HK$3.88 (S$0.68) each. Out of the 1.06 billion shares in the IPO, 10% was offered to the Hong Kong public, and the rest were offered through an international placement, targeting mainly institutional investors and high-net-worth individuals, reported The Straits Times. Based on its share price, Razer is also said to be valued at HK$34.4 billion (S$6 billion). 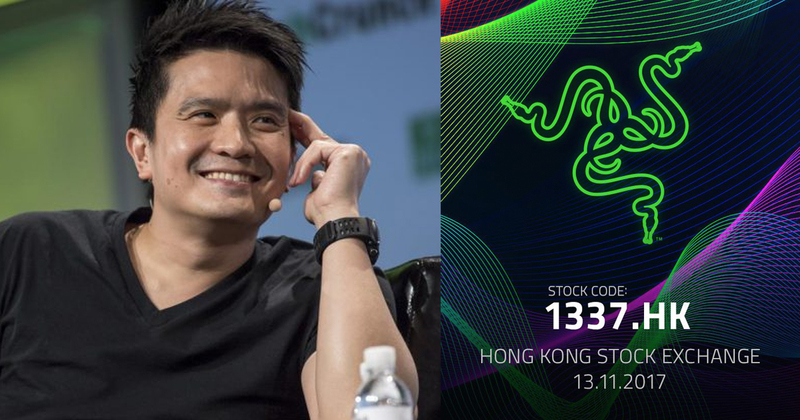 With it now being public, Razer fans and investors would now be able to invest and buy its shares under the 1337.HK stock code. “Oh yes, we didn’t forget gamers even in our stock code,” teases Tan. You have our word that we will remain 100% committed to our motto. Expect nothing less than the truly phenomenal from us.